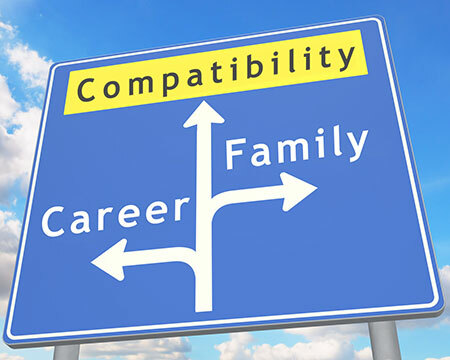 Career or family? – Career and family! These two spheres of life are coming closer together; the borders between the professional and the personal are becoming increasingly fluid in terms of working hours. We are aware of the change in social value concepts and the challenges posed by demographic changes – and we see these as an opportunity. The health of our employees and their safety in the workplace are of particular importance to us. We actively support our employees when it comes to their families and social situations, and hope that in doing so we may improve their work-life balance on an ongoing basis, for example in terms of childcare or caring for dependants. Family and work are two essential aspects of life that mutually support each other. Both aspects complement one another. Therefore, we have drawn up a full range of family-conscious general conditions that make it easier to balance career and family. Buzil needs innovative, creative, flexible, motivated and reliable employees in order to continue to progress. Our family-oriented policies create an environment that conveys a sense of reliability and support in a future-oriented company, and contributes to a life that is both professionally and personally fulfilling. With its "Success Factor Family" corporate initiative, the German Federal Ministry of Family Affairs (Bundesfamilienministerium) is uniting with the German central industry associations (Confederation of German Employers' Associations/BDA, Association of German Chambers of Commerce and Industry/DIHK, German Confederation of Skilled Crafts/ZDH) and the Confederation of German Trade Unions (DGB) to make family-friendly workplaces a trademark of the German economy. 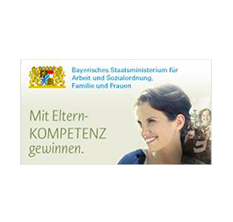 Initiative from the Bavarian State Ministry of Employment and Social Order, Family and Integration: the goals of this initiative are to enhance women's careers, create a family-friendly corporate culture and establish an HR policy that is geared towards the life phases of the employees concerned. Until April 2017, IFGE Gesellschaft für Innovationsforschung und Beratung mbH and pme Familienservice GmbH will coach and support interested Bavarian companies on their journey towards a women- and family-friendly future. In order to further improve the balance of family and career in Bavaria and set trends, both in the corporate world and in society as a whole, the Bavarian State government has united with Bavarian industry to form a powerful partnership: the Familienpakt Bayern (Bavaria Pact for the Family) service centre has since taken on the role of central point of contact, guide and initial advisor when it comes to balancing family and career. In May 2016, Buzil was welcomed as the 100th official member of the Familienpakt Bayern.